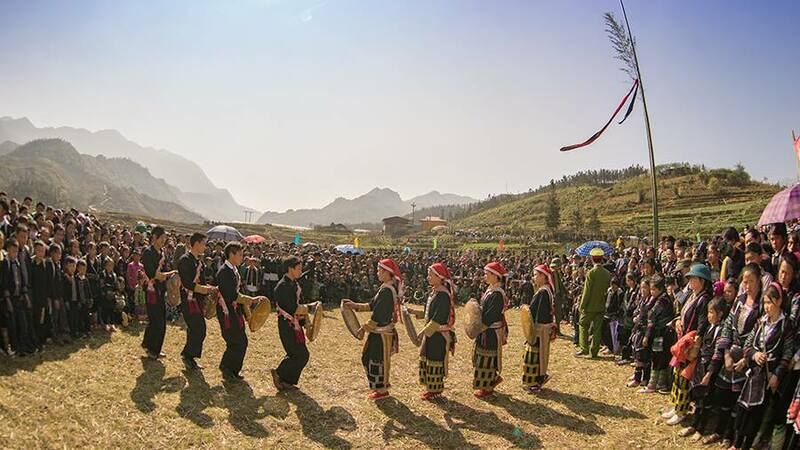 Another province in the Northeastern region of Vietnam, Lao Cai adjoins four Vietnam’s provinces Lai Chau, Ha Giang, Yen Bai and Son La. It has a total area of up to 6’383.9 sq. km and a population of 613.1 thousand inhabitants, including major ethnic groups of the country such as Viet (Kinh), H’Mong, Tay, Dao, Thai, etc. As its location implies, Lao Cai possess a true mountainous yet diverse topography with several valleys lying between hills and mountains. Fansipan - the most famous mountain peak in Vietnam and also the highest peak in the Indochina Peninsula, stands 3’143 m above the sea level. This is one of the most precious treasures of Asia, and one of the most visited attractions in the whole country. There are approximately 107 rivers flowing pass Lao Cai, including Red River (the one that crosses Hanoi), Chay River, and Nam Mu River. Such wondrous terrain also gives the province more than 30 types of mineral among which cooper, iron and apatite are most valuable. Mother Nature also loves this land so much that she gave it an admirable variety of biological treasures: 2000 types of flower, 442 types of bird and animal. Many of them can only be found in Lao Cai and nowhere else in Vietnam, or in the world to be exact. Lao Cai’s climate can gives you a whole range of feelings: sometimes it is too cold to enjoy the scenery, but most of the time it is dry and cool enough to become one’s frequent getaway. Annual average temperature is about 23oC. Snow is reported to have fallen down during some winter, but they are totally the tropical type of snow! So in a nutshell, the weather can be summarized in two words: chill out! The rains only come between April and September, but they are the mild, romantic tropical rains that are worth looking for. If you have ever heard about Vietnam tourism, you might have known a little bit about the famed Sa Pa tourism magnet. Yes it is in Lao Cai. But apart from Sa Pa, there are still hundreds of places that can amaze you in this part of Vietnam. If you want something historical, try visiting Muong Hao Valley, Pho Rang vestige, and beautiful caves in Cam Duong or Bac Ha. Those are where you can find pictures, maps, handwritings from centuries ago. 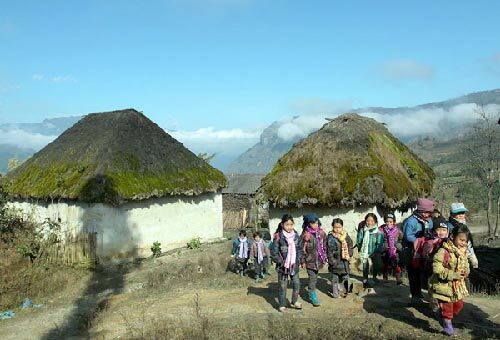 If you want to try something else more entertaining, a trekking trip to the villages of the ethnic groups such as Cat Cat Village is an absolutely good idea. No matter which type of person you are, or what resource you have available, there will be something for you to explore in Lao Cai. Now get ready, let’s go! There is an undeniable truth that Sapa is now has a lot of beautiful cafes shops. Also all of these are very close to nature to stay the guests. Let's check out now.